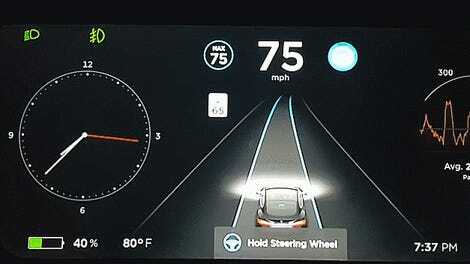 Cars Are Learning From Humans Now And Did We Learn Nothing From The Terminator? Image via YouTube screenshot and the internal thought process of a crazy person (me). Technology company Nvidia developed a system that allows a car to learn how to drive itself by essentially being a working, thinking passenger to a human driver, according to Tech Crunch. Cool technology. Great. But did anyone listen when the Terminator movies warned us not to let machines learn things? In the service of full disclosure, I have a problem with shouting “SKYNET!” when any electronic device in my general vicinity beeps. Or flashes. Or does anything, really. Most semi-autonomous and autonomous car technologies we know of that are being developed for the commercial market use things like LiDAR technology, 3D mapping and algorithms to drive themselves, but this system picked up the skills from a human driver and began applying them like, you know, a human. 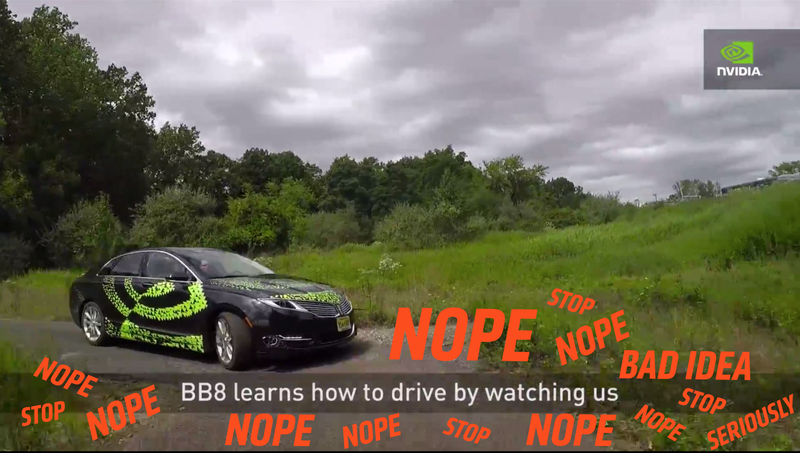 According to a video from Nvidia, the test car began driving lessons in a parking lot and “quickly learned to navigate cones” before moving to roads. The video says it knows how to drive on roads with and without lines marking the lanes, and has no issues taking blind corners or avoiding objects. Cool. Lovely. How comforting. Let’s hope this car can’t learn how to, oh, I don’t know, severely maim people with the wrong influence!!!!!!! Sure, I’ve watched a few too many Terminator movies in my lifetime. And I’m certainly not comfortable with technology learning things, even though there are systems that use artificial intelligence everywhere—for Google translate, military technology, even writing pop songs. But cars hit close to home. We don’t need them relying completely on their own fake brains to navigate roads, because soon they’ll be using their fake brains to take over the world. Worst of all, Tech Crunch reports that Nvidia trained this system in California before taking it to other states to see how well it adapted. If they’d only kept Arnold Schwarzenegger in office, maybe this wouldn’t have happened. Arnold knows better. Honestly, let’s do our best within the human race to avoid technology that can learn things from us. Let’s stick to LiDAR and 3D mapping for the autonomous-driving technology. Otherwise, the machines will kill us all. If you need me, I’ll be hiding in my underground bunker. Once I get around to building it.